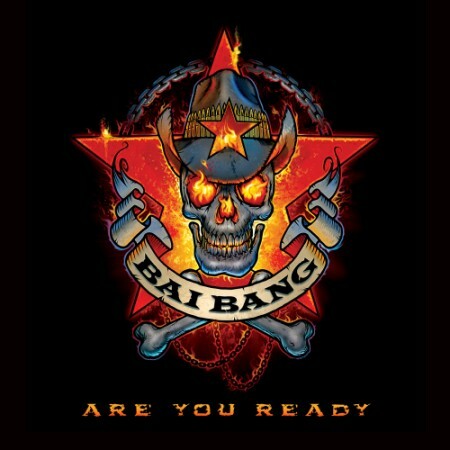 Review: "Bai Bang: Are You Ready" - Sea of Tranquility - The Web Destination for Progressive Music! Album number six from the enduring Swedish glam / sleaze rockers who first appeared on the scene way back in 1983. And whilst the band themselves may have a few more greying temples and crinkles across their foreheads not a great deal has changed with regards to their musical output. In a nutshell, Are You Ready is a good time, feel good party album played with plenty of bar room swagger and bravado but, inevitably, ends up sounding largely one dimensional. For anyone without enough Ratt, Poison or LA Guns albums in their collection then this will have plenty of appeal. Even though you will have heard them numerous times before catchy riffs and punchy choruses are to be found in abundance on straight forward and direct titles such as 'Born to Rock', 'Are You Ready I'm Ready', 'Bad Boys' and 'I Love The Things You Hate'. And the very fact that you just know that they are playing with huge smiles on their faces makes it hard to not enjoy. Alice Cooper guitarist Ryan Roxie contributes a solo to the anthemic 'Only The Best Die Young' and the whole album is summed up extremely well by closing number 'Bigtime Party'. Released on April 27th via Metal Heaven.